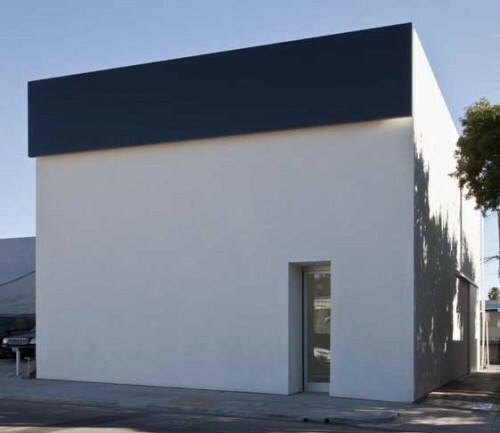 Matthew Marks Gallery tonight opens its new West Hollywood gallery, designed by architect Peter Zellner. 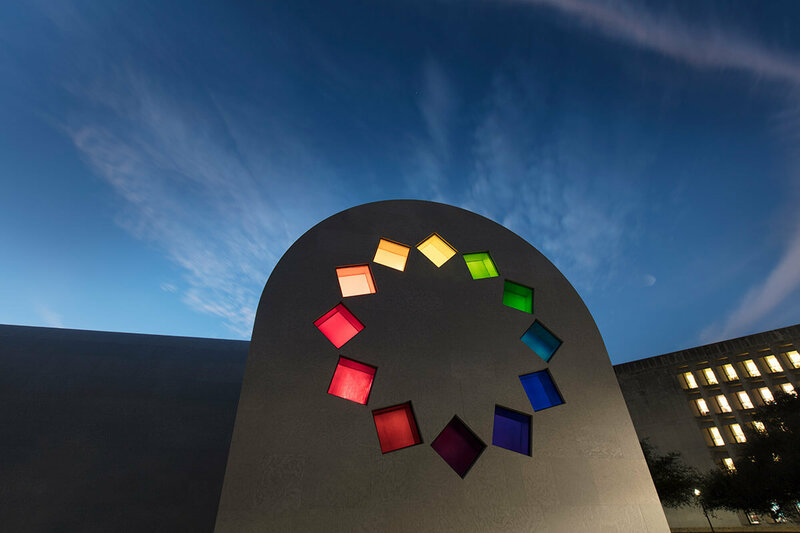 The white, cube-shaped, 3,500 square foot building is highlighted by a huge sculpture by Ellsworth Kelly, which makes sense given that the gallery's opening show, Ellsworth Kelly: Los Angeles, opens tomorrow. The sculpture, a dark colored bar measuring 8x40 feet, has been installed 30 feet off the ground, jutting ten inches out from the building facade, creating a floating effect. The metal sandwich panel structure was hung via a series of steel plates, "like hanging a painting," said Zellner. Of course that's a painting that weighs 5,000 pounds. Inside the lofty, spare gallery space, with its eight skylights, will be showing off some of Kelly's finest work, including two works that inspired the facade piece: the collage Study for Black and White Panels (1954), and the painting Black Over White (1966).